Stores have already knocked the Kinect version to $380, which makes Microsoft's new $450 MSRP seem pretty "meh." If you've been holding off on buying the Xbox One, then it might seem like good news that Microsoft has announced it will slice $50 off the price of the console, starting on November 2. That will drop the retail price of the Xbox One without a Kinect to $349, while the Kinect-ed version will drop to $449. Both versions will include a copy of Assassin's Creed Unity or Sunset Overdrive. But before you whip out your credit card in preparation for a purchase, keep in mind that we have consistently seen deals for the Kinect version of the Xbox One for less — way less — than this new price from Microsoft. Virtually every month since March, there has been a deal on the Xbox One with Kinect that beats the new MSRP. Over this time, the average lowest total price of the console was $413, with an absolute low of $380 over the summer. In that context, Microsoft's price cut seems pretty "meh." And given this deal history, we're sticking to our Black Friday price prediction, in which we ventured to say that the console will drop to $370 during the infamous shopping holiday. In those same Black Friday gaming predictions, we decided, based on deals, that the base model without the Kinect would drop to $350 on Black Friday. When we heard that Microsoft dropped the MRSP price to $349, we felt pretty elated about our analysis (we might have even high-fived each other), but there's a downside to being right. ith the new, lower MSRP, it seems unlikely that the non-Kinect Xbox One will fall even further for the holidays because we doubt stores will be willing to take a further cut on profits by slashing this even more. 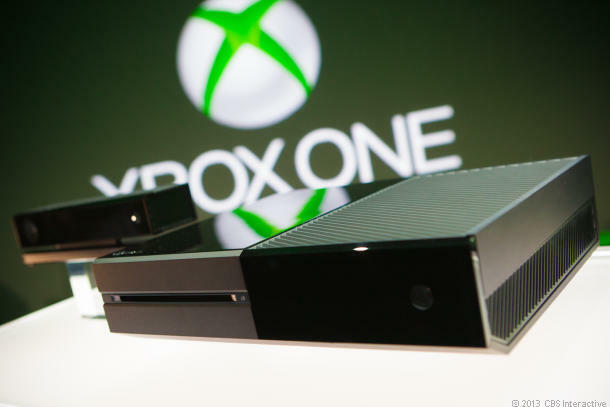 Therefore, we believe the Xbox One without the Kinect will remain around $350 during Black Friday. While we all want to pay the lowest price possible, it's important to consider the value of the Kinect sensor when looking at which version you should buy. If the base console indeed stays at $350 for Black Friday, but the Kinect version drops to $370, then the latter will be the far better buy. If you buy the base model, and then later decide you want the sensor, you'll have to chalk up $150 to get it (once the new sensor is eventually sold on its own, that is). Shoppers would do well to spend that extra $20 and get the sensor bundled instead. Since we're fairly certain that retailers will be unwilling to knock the $350 console any lower, we expect them to instead more heavily promote bundle deals. These are packages that attempt to offer savings via extra games, controllers, or accessories. And we're not talking about the official bundles that Microsoft just announced, but rather those from the likes of Best Buy. However, frequently these bundles look much better than they are, and that might be especially true given these new price cuts. Remember to do a bit a math to see if the individual items add up to a real savings; search for the included items elsewhere, and see if you'd save more by buying them individually. Also, think carefully about whether you actually want those bundled items in the first place. If even one of them isn't absolutely essential to you, then you'd probably spend less buying the items separately. Microsoft's new price cut is technically just temporary, with a theoretical end date of January 3. Clearly the company is trying to target the holiday season, with the ultimate goal of keeping your holiday dollars away from the PlayStation 4 (which has been outselling the Xbox One). We can't wait to see how Sony plans to answer this price challenge! Readers, what do you think about the Microsoft price cut? Are you willing to wait for a deal during Black Friday? Do you even care about the included Kinect sensor? Sound off in the comments below. Black Friday Game & Toy Predictions 2014: You'll Actually Find 'Frozen' Deals! Jeff, for those that already own xbox 360's which they are planning on replacing with the XBox One (X1), they can take their working 360's to their local Microsoft store and get another $100 taken off the price. This means that after Nov 2 they can get an Xbox One (sans Kinect) with a game bundled in for as low as $250 (with trade in). Considering your comment on the value of the Kinect, I must disagree with it being worth even $20 as a controller that must always be turned on (consuming a small, but over time significant amount of energy). If one plans to use motion based games then I can see it. If one wants to use the X1 as a home entertainment center and have trouble keep track of the controls so that voice activation is required, then maybe. The voice recognition is good but not perfect and besides, how hard is it to hit a button to turn it on, or move a joystick? Besides I bet specials will drop the prices of both systems. For 95% of the games, like Destiny, it is not needed. @jaspers Yes, we noted that in the intro. And we also noted in the bundles section that we're talking about retailer-created bundles.